Shoulder pain is bad enough. Imagine if you only had one functional arm and that shoulder was going bad with arthritis. That is exactly the situation Dennis M. Lox, MD, faced. The patient had injured his dominant arm in a severe motorcycle accident, paralyzingly the nerve in the arm. This left him with only one functional arm, his non dominant extremity. Platelet Rich Plasma (PRP) Stem Cell Therapy have been used for a variety of shoulder problems including sports injuries. 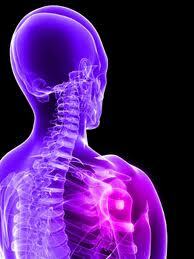 Dr. Lox has successfully treated many disorders with these regenerative therapies. This case illustrates how complicated things become when there is only one shoulder and no backup. Typically, over time when one limb is paralyzed the other arm picks up all the work load, and over time this will result in excessive wear or degenerative arthritis. Shoulder joint replacement is technically more difficult and complications tend to be more frequent than more commonly replaced joints, such as the knee or hip. Given this, if surgery or shoulder replacement is unsuccessful the significance is much greater in a patient with one functional arm. In this scenario PRP and Stem Cell Therapy are reasonable and practical conservative alternatives. This patient elected to have PRP and Stem Cell Therapy by Dr. Lox. There were no complications. Pain subsided and shoulder range of motion improved. The patient is now 3 years post PRP and Stem Cell Therapy to his shoulder, and views the procedure as a success. He was told he needed a shoulder joint replacement, and now has avoided this, as well as the potential complications that would occur if surgery were not successful. A poor outcome may result in a worse functional state. 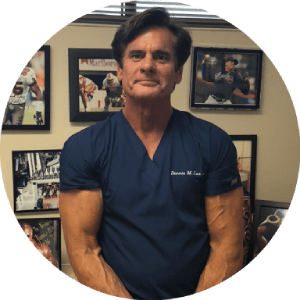 Platelet Rich Plasma (PRP) and Stem Cell Therapy may be a viable conservative alternative to shoulder surgery and shoulder joint replacement.